Amazon is here with a great deal offering GAMDIAS Hebe E1 RGB 2.1 Virtual Surround Sound Gaming Headset at Rs 1199. All products are imported from the USA. All electronic products must be used with a step down/up converter for Indian voltage compatibility. Grab Now..!! 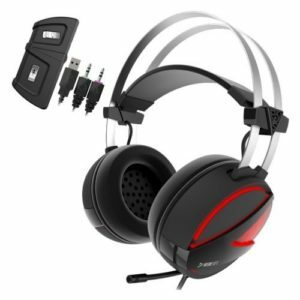 How to Buy GAMDIAS Hebe E1 RGB 2.1 Virtual Surround Sound Gaming Headset?